That’s what I get for relying on tipsters. Based on an email I had received, I wrote that it created new access to the Baron’s South property. It does. But only if you go through the Senior Center. Former 2nd selectman Avi Kaner notes that the road is part of the Senior Center enhancement project. This entry was posted in Downtown, Environment, Organizations and tagged Baron's South, Westport Senior Center. Bookmark the permalink. Actually, that’s what happens when you believe what you read, rather than on instinct. Trust the latter. 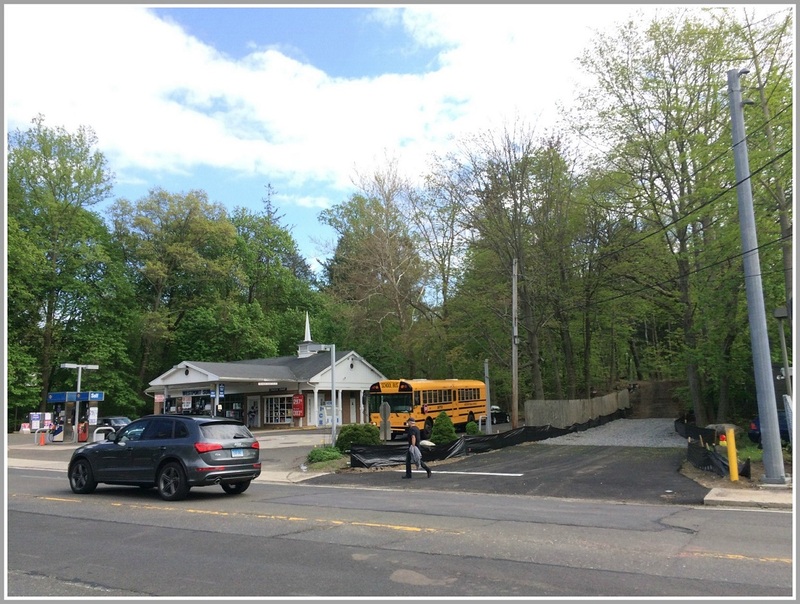 The access was granted after a promise was made and accepted by the p and z that the road was only temporary for use by construction vehicles, would not be used at peak rush hours and school bus traffic and would revert to a walking path only when construction ceases. Obviously the new road could be a night mare if used outside the commitments as that spot is a CF when busses line up to get in and out of the parking area next door. Add the post offfice, playhouse, and a busy Compo road intersection. There is a parking area within the senior center parking lot that allows park visitors to stash their ride when they want to walk the park roads. The senior center is beautiful and getting better and with attention to commitments made to their approvals drivers and seniors will all be at peace through building and beyond. Well…shows me how much I know…I didn’t know the senior center was back there (but I live in ffd). Yep – the entrance is on Imperial. I understood that this was only supposed to be a temporary construction access road. Per Mr. Stephens cautionary post above, I hope that’s the case. As a sidenote, I believe this was a road before it wasn’t a road; the Post Road (pre-CT Turnpike) used to take a wide loop right through here before crossing over into Winslow Park and then connecting with what we now call East Main and meandering on from there. As Chip correctly mentions, this is a temporary access road for construction vehicles only. It will be reverting back to its emergency access only state upon completion of the project. This is not a public driveway. A chain link will be up during non-construction hours. Please continue to use the Center’s main entrance at 21 Imperial Avenue. One benefit of this dialogue, Sue and Chip have it right, is that the town may become aware of this location as an entrance point for pedestrians to enter Baron’s South and enjoy the beautiful park space. Once Parks & Recreation comes up with and implements its plans for the park, most assuredly modest trails and some plantings, Winslow Park will be an even more lovely, peaceful spot with access for walkers from Imperial Ave, Compo Rd. South and the Post Rd. Fairly soon we should also learn of the plans of the Town and the Westport Arts Center to relocate the Arts Center to the “Golden Shadows building off Compo South, an occurrence that will provide for public areas for the display of art.